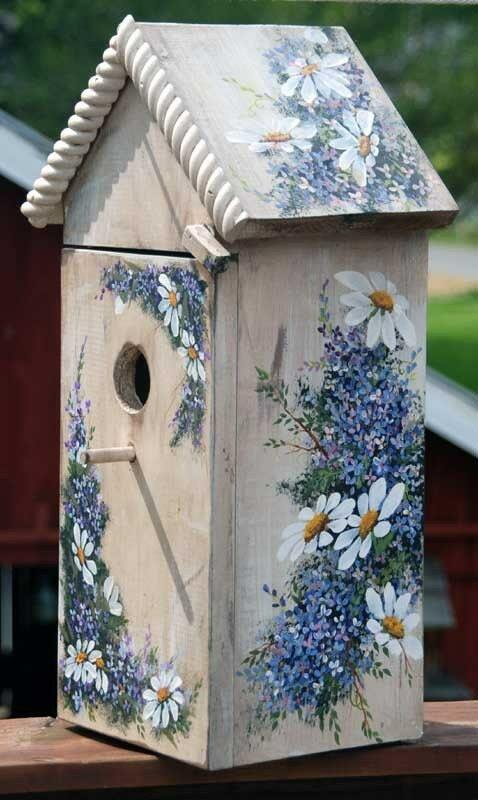 This birdhouse makes a great kitchen decor because the front of the birdhouse opens and there is a shelf inside to put spices or pen and paper or anythng you would like. 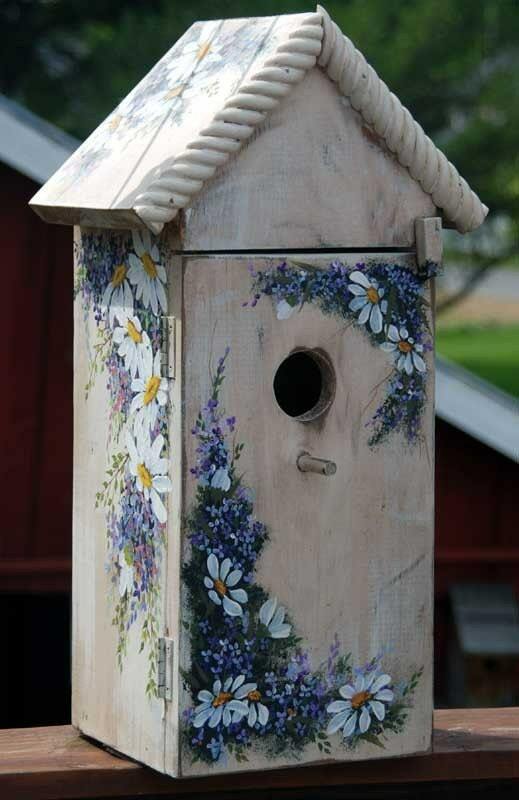 I kept it in my kitchen and kept my trusty sissors on front peg. 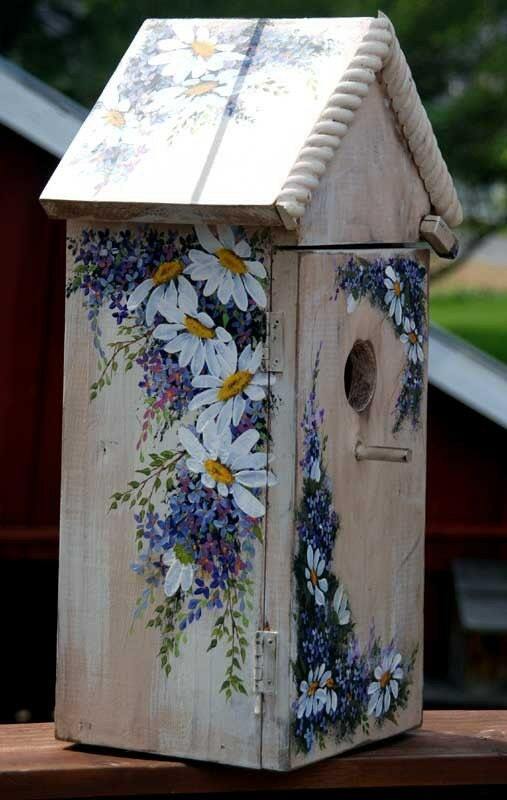 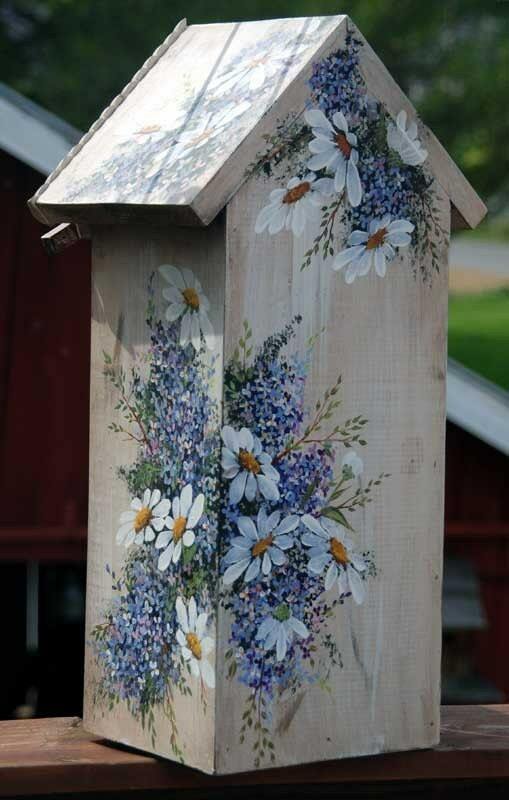 I can paint anything on the birdhouses this one has blue and purple flowers surrounding the house. 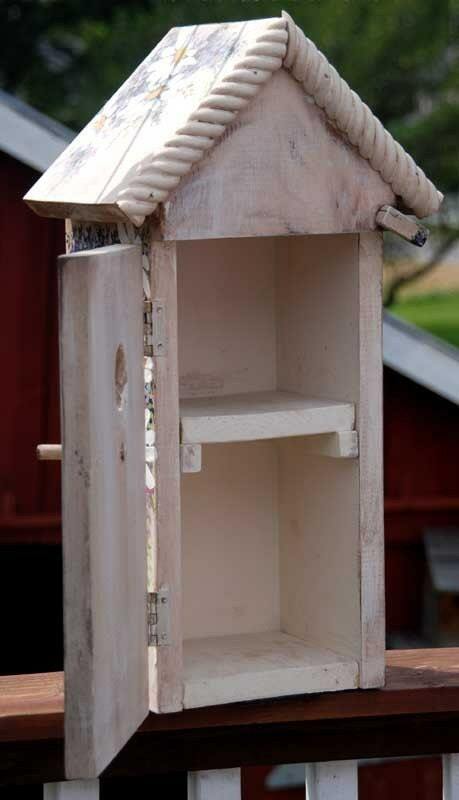 The Bird House measures 19 inches tall and 10 inches at widest points of roof corners.